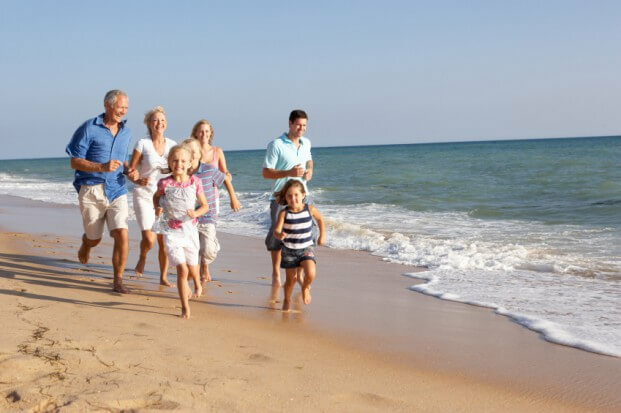 The road to retirement is changing dramatically, with more older Americans taking a long vacation, or a work sabbatical, for a period of time and then rejoining the workforce –often by switching careers — to delay full retirement. Seventeen percent of boomers say retirement financing will come from continued employment, according to a 2014 analysis of data from a survey by Merrill Lynch. “While many of today’s retirees say they can count on Social Security and employer pensions to fund most of their retirement, future generations are far more likely to say they will need to rely primarily on personal savings and income from working during retirement,” Merrill Lynch says. But before entering an extended period of employment, many older Americans are taking a long vacation. More than half (52%) of working retirees say they took a break from working when they first retired and then returned to work, Merrill Lynch data show. This sabbatical, which also functions as a career intermission phase, lasts on average more than 29 months. Financial security and lifestyle considerations should drive the decision as to whether take a break and then continue working, or engage in full retirement, says Chicago, Ill.-based Judi Lansky, president and founder of Lansky Career Consultants. “I’ve worked with some people who say they retire too early,” Lansky says. “People I’ve seen [facing retirement] are unclear about what to do next. Some seem pretty confused and scared. Data shows that labor force participation among older adults has not declined, contrary to popular belief that older Americans are retiring at an increasing rate. In fact, the labor force participation rate for those 55 and older in 2013 is slightly higher than in either 2007 or 2010, according to a 2014 study from the Center for Retirement Research at Boston College. Taking a long vacation can help soon-to-be retirees reassess their goals without forgoing the satisfaction and financial security that comes with continuing work. For one former teacher, a passion for educating others inspired a return to the work force after retiring from a full-time teaching career. More than seven in 10 pre-retirees say they want to work in retirement, Merrill Lynch data find. “In the near future, it will be increasingly unusual for retirees not to work,” Merrill Lynch predicts, noting re-visioning of later life and increased life expectancy as contributing factors. While a long vacation may be a viable option for some, career counselors say it’s important to consider both the benefit and risks inherent to taking this extended vacation. While taking a long break from employment might seem like a good idea, it’s important to check with your employer before moving forward, unless a career change is also on the horizon, Lansky says. “It seems crazy to me to assume you will get your job back if you leave for an extended period of time,” Lansky says, pointing to the hard-hit economy and job competition nationwide. While your current job being available following a sabbatical-like break might be unrealistic, the joy of pursuing a new path re-engages many older Americans not yet ready for full-time leisure. Nearly three out of five retirees launch into a new line of work, and working retirees are three times more likely than pre-retirees to be entrepreneurs, Merrill Lynch data show. “We all have to be our own job coaches these days and look out for ourselves,” Harris advises, adding that few people remain with the same company for more than five years. Ultimately, retirement is about optimal enjoyment, Harris says. “If it means traveling, or getting centered for however many months or years, then do that,” Harris says. “I ask people when talking about careers, ‘What are the first six to 12 months going to look like? If you want to travel, you might want additional income streams.